A healthy smile and well-functioning teeth make you feel good and boost your health. 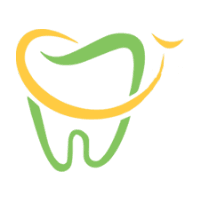 The expert staff at PDADental in the Financial District, Lower Manhattan, New York provides general dental care to promote your oral health and overall well-being. If you live in or around New York, call the office or schedule an appointment online today to keep up with your basic dental care needs. If My Teeth Feel OK, Should I Worry About My Oral Health? When the bacteria in your mouth are not controlled, you’re susceptible to gum disease and tooth decay. Not only does this threaten the integrity of your teeth and the look of your smile, but it can pose a very serious risk to your overall health. Gum disease and tooth decay can lead to a systemic infection that raises your risk of health concerns, including heart disease, endocarditis (an infection of the lining of your heart), and complications during pregnancy. Keep your teeth and gums healthy with good habits at home. In addition to a nutritious diet that doesn’t include too much sugar, brush at least twice daily and floss once a day to get at plaque that forms between your teeth. Replace your toothbrush every 3-4 months. Twice yearly professional cleanings and checkups with the staff at PDADental help preserve your oral health. The professional cleanings can get a plaque and tartar not reachable by brushing and flossing. If you should have signs of decay, gum disease, or another concern, a regular checkup can identify them early so you can get treatment before the condition leads to pain and tooth loss. How Can I Preserve Gum Health? Your at-home hygiene habits go a long way in preserving your gum health. If you notice signs of gingivitis – red, swollen gums or bleeding when flossing or brushing – tweak your at-home habits to make sure you’re doing the best brushing and flossing job possible. Mention your concerns at your dental visits; the staff can help give you extra tips that preserve gum health. How Often Should I Have Regular Dental Checkups? Most healthy men and women benefit from a visit to PDADental once every six months. This visit includes a thorough cleaning and an evaluation from the doctor. X-rays might be taken at some appointments to evaluate the inner workings of your teeth, gums, and jaw. Some people will need more frequent visits. If you have gum disease or other issues, the doctors will set up a customized appointment schedule for you. General dental care preserves your oral and overall health. Call for your appointment or book online today.